On December 15, in conjunction with Australian Directors' Guild, WIFT NSW took action against gender imbalance in the Australian screen industry, staging a peaceful picnic protest at Fremantle Media today against the decision to hire a Canadian female director in place of an Australian for the television remake of Picnic at Hanging Rock. Whilst a number of Australian directors now residing overseas were approached, WIFT and the ADG understood that homegrown emerging and established talent were all overlooked. Download press release and media kit here. On December 7th 2016, WIFT NSW staged a public protest to highlight the lack of transparency in the AACTA judging process for feature films, as well as the disproportionately low amount of nominations and pre-selected films directed and driven by female creatives. As a result of this protest and the continued pressure from WIFT, AACTA has overhauled the Film Award criteria, eliminating the opaque judging process that clouded the film selection for the 2016 screening tour. AACTA has also included both the For Film's Sake - Sydney Film Festival (formerly World of Women (WOW) Film Festival), and the Queer Screen - Mardi Gras Film Festival as qualifiers for the awards. This is a good result ensuring that there is transparency around the feature film selection, as well as a greater diversity amongst films in contention for the awards and we thank those in the industry who supported WIFT and these changes. This is a solid step forward, however there is still much more work to be done and we hope in the coming years, AACTA continues to develop their entry requirements with industry consultation. We also hope that AACTA, along with other screen bodies, continue to actively engage with gender and diversity issues within our industry, commit to an official gender and diversity policy and maintain a dialogue with WIFT and other diversity interest groups to ensure they continue to provide a fair go for all filmmakers, no matter their background. Read Jay Rutovitz's letter to AACTA here. Read Megan Riakos' article on the AACTA Awards here. With a recent report revealing that the number of Australian films and television shows available to Australian audiences on Netflix has dropped by 7% in the past 12 months, we need to call time on government inaction now. 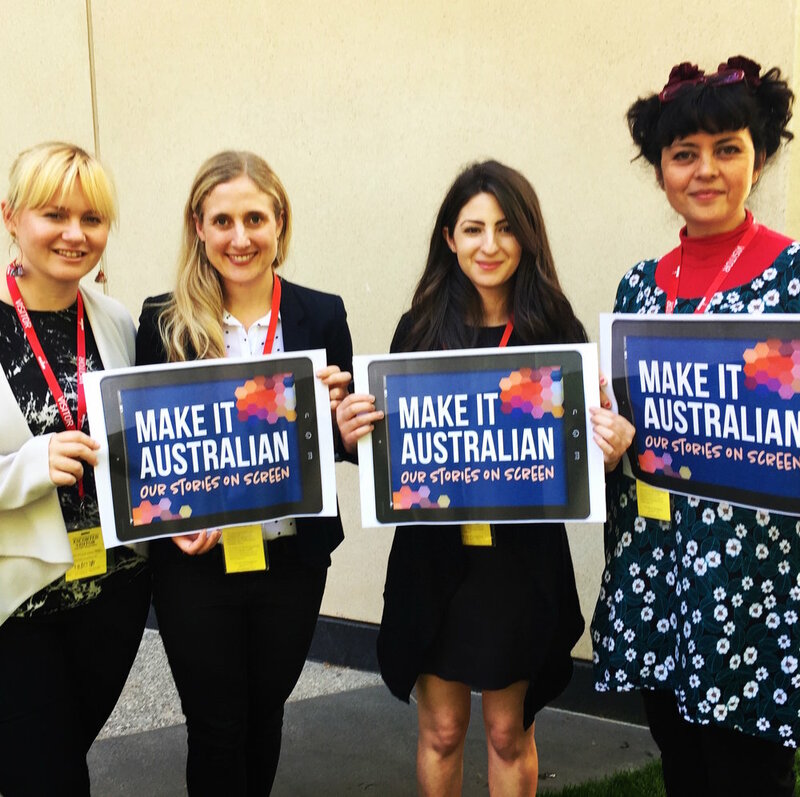 We need obligations on streaming services like Netflix to promote and invest in original Australian content so we will continue to see new Australian stories on Australian screens.